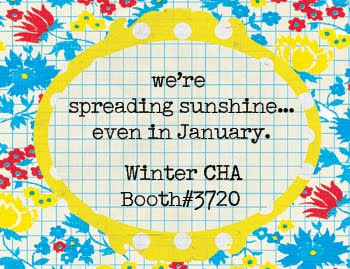 Winter 2010 CHA Sneak: Lily Bee "Hello Sunshine"
And this layout using the line was shown on Design Team member Stephanie Howell's blog. Lily Bee usually only comes out with 1-2 lines each CHA since their debut last year. So we're not sure if this is the only sneak coming or if there is more. But we will be sure to keep you updated! Love the bright bold colors. Very Fun! !